Graduations At Carysfort College. (R84)..1988..24.07.1988..07.24.1988..24th July 1988..Today at Carysfort College saw the final conferring of degrees on the students in the teacher training programme. 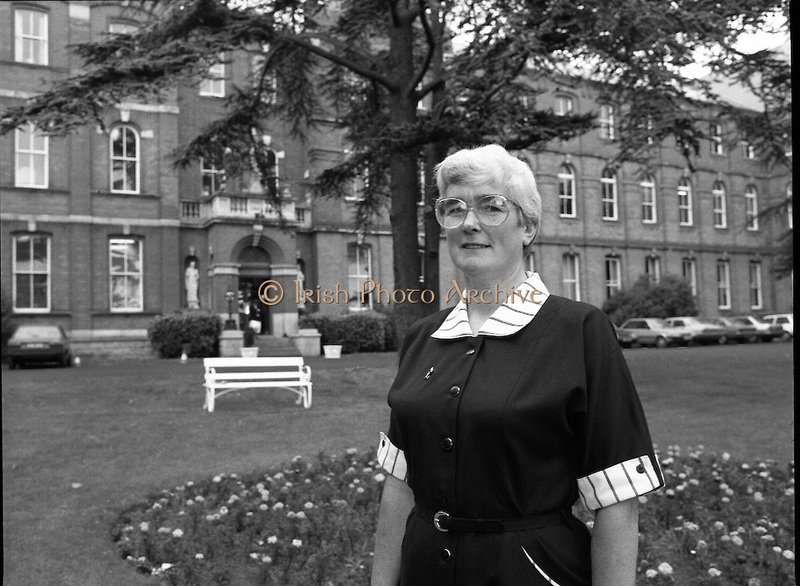 The college in Blackrock, Dublin trains students to become primary school teachers after a three year course and is under the control of the Department of Education...Sr Regina Durkan, President, Carysfort College is pictured in the grounds of Carysfort, Teacher Training College, Blackrock, Dublin.